How Far is Ganga, Yamuna, Saraswathi, Kaveri? 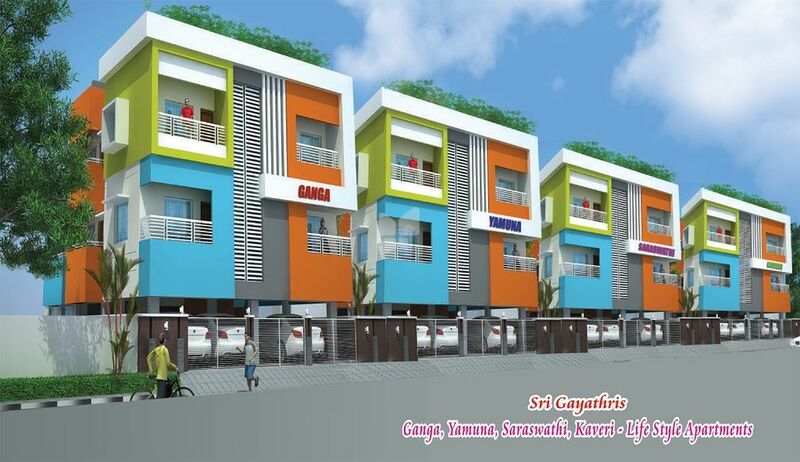 Ganga, Yamuna, Saraswathi, Kaveri, a residential project located in Madambakkam, developed by one of the well-known developers in the city by Sri Gayathiri Builders. This project offers 1BHK and 2BHK apartments for sale in Madambakkam, the size of 1BHK apartments is 471 Sq ft and the size of 2BHK apartments is 804 Sq ft, 773 Sq ft. This project has elegantly crafted apartments with best in class facilities and amenities to make sure the residents lead a hassle-free living. The project is bounded with all the daily needs. Also, it meets the expectation of your dream home. Your freedom begins beyond the four-walled indoors. The outdoors hosts thoughtful amenities and well-lit and ventilated indoor will draw the three generations from small one to elders to spend quality time. The environment, quality of construction, comfort, location advantages makes it the best place for residing as well as for investment in Madambakkam. Along with all these advantages and apartments in Madambakkam, Ganga, Yamuna, Saraswathi, Kaveri project offers many useful amenities, some of them are Visitor's Parking, Rainwater Harvesting System, 2-Wheeler Parking, Security, Power Backup, Car Parking, and Children's Play Area. 4 Doors : Front Door firt quality Teak Wood Pannelled door Varnish finish. Other doors are second quality teak wood framed with flush doors (Skin Door) and paint finish. 5 Windows : Second quality teak wood framed Window with glass shutters (Plain / Pinheaded) and M.S.Grills and pain finish. b) Cooking Platform slab with granite (Jet black) top with stainless steel sink of size 2'0"1'1/2"x7". 9 Electrical : Fully concealed 3 Phase wiring with PVC pipes using ISI wires with necessary points for light and fans. 10 Painting : Painting walls with two coats of Emulsion for all room with putty finishing for interior Painting Doors, windows and Grills with standard Enamel Paint two coats over one coat Primer. Exterior Emulsion for outside walls.